Even though many homeowners take tree care into their own hands, very few understand what they’re actually doing. For example, plenty of Aurora residents think of tree trimming or tree pruning as just another Saturday afternoon chore outside. But the fact is that excessive pruning and/or trimming can only damage your tree. It’s why you need a reliable tree service at your side. Here at Pro Tree Service, we have nearly three decades of experience. Our team knows what it takes to keep your trees healthy and beautiful without putting your property or other people at risk of injury. Affordability – Far too many tree care companies take advantage of homeowners with hidden fees or gimmicks. That’s not how we conduct business, though. Simply come to us with a reasonable, written estimate and we will beat it by 10 percent. We are more than happy to answer any questions you may have about cost. Reliability – You should be able to count on your tree company to get the job done right the first time. On top of that, they should arrive promptly and ready to work. Rest assured that our operations are open year-round, with emergency response service available. We strive to make sure that you receive service in a timely fashion. Fully licensed, insured, and bonded – Don’t be fooled by a company that lacks proper insurance coverage and licensing. Our team is legally incorporated and carries commercial general liability, workman’s compensation, as well as all required municipal bonds and licenses. Customer satisfaction is our number one priority. Feel free to contact us today for tree removal, tree trimming/pruning, and land clearing services. 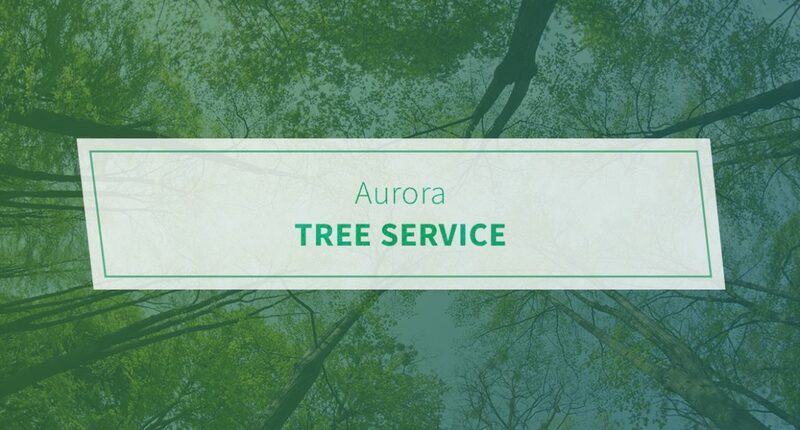 See what makes us the preferred tree service in Aurora.